With the winter months just around the corner the Dream Yacht Charter team thought it would be appropriate to share a recipe for a seasonal seafood item that you can enjoy with your family. 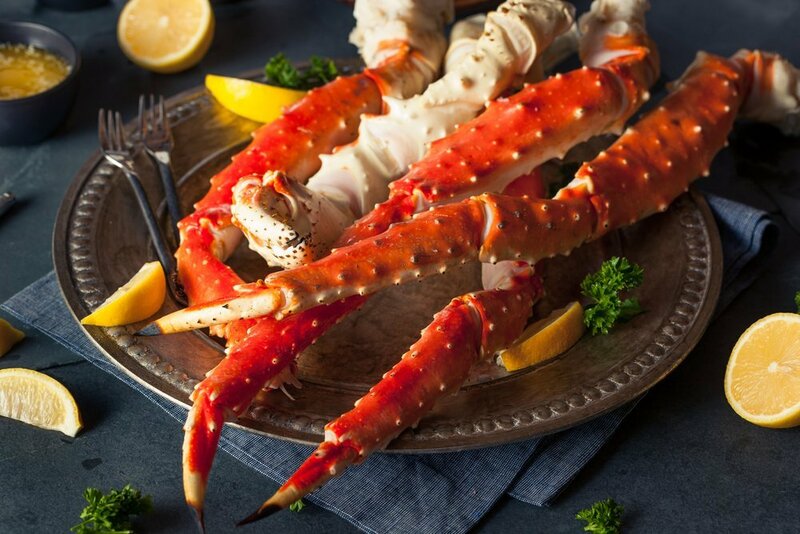 King crab is most readily available during the fall and winter months from September to March and is caught in the Alaskan region. King crab is most commonly around 5-8 pounds compared to a typical blue crab which is only around 1/3 of a pound. The largest king crab caught was known to have a leg span of 6 feet across and weighed over 20 pounds! With their large size you can expect a larger meat yield compared to their smaller relative, making it a perfect appetizer or meal. Below we have a garlic butter dipping sauce that pairs well with your haul of crab legs from the supermarket, or fresh from the pot. Melt butter and add Old Bay Seasoning™, red pepper flakes, and garlic till fully mixed. Serve on side of cooked crab legs in small dipping container. Recipe yields enough for around 3 pounds of king crab legs.